>Ooooooooohhhhh!!! That cake looks divine!!! >Ack! Awesome! Must try this! Thanks for posting it . . .
>Thanks to you for coming by, tracey! Let me know what you think when you give it a try! >Ohhh my goodness! The boyfriend and I made this cake for his family party on Saturday and it took only 10 minutes before it was all gone and several people had come over and asked for the recipe. In other words: a huge success! I only wish I could have had a whole piece! (my body hates lactose so I only dared to try one little bite. Which was divine! 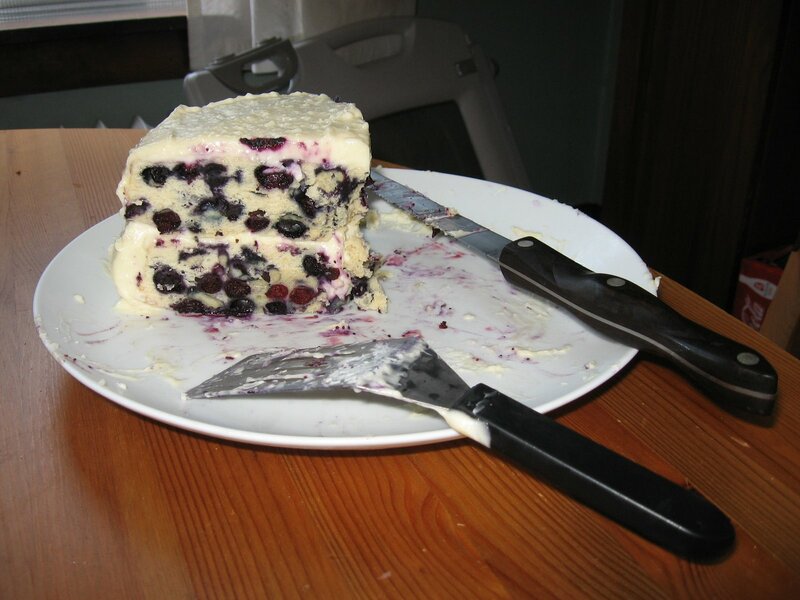 )We used a little too much blueberry so our cakes didn’t really rise much, but I don’t think anyone minded at all…Thank you for this amazing recipe!